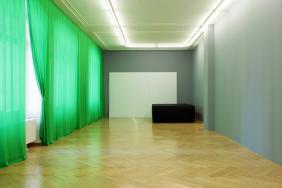 Susanna Kulli established her gallery in St. Gallen, Switzerland, in 1983. In 2004, she moved the gallery to Zurich. 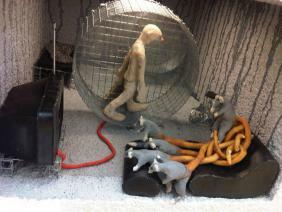 For over 30 years, Susanna Kulli has led a gallery with a strong and distinctive program. 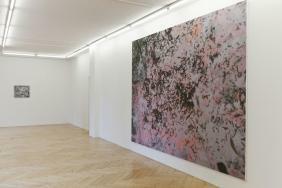 It was launched in the 1983–84 season with shows by artists including John Armleder, Olivier Mosset, Gerhard Merz, and Gerwald Rockenschaub, who are still on the gallery’s roster. Galerie Susanna Kulli has worked with Thomas Hirschhorn since 1993, when he first appeared on the art scene. The gallery enjoys an international reputation for offering a stage to young and emerging artists including Kerim Seiler (CH), Bertold Stallmach (CH), Stéphane Kropf (CH), Vanessa van Obberghen (B), Michael Noser (CH), and Shila Khatami (D), all of whom presented their first solo exhibitions at the gallery’s new home in Zurich and are now well known. Galerie Susanna Kulli was part of the Gallery section at Art Basel from 1994 until 2010. The gallery’s program has also been presented at Artforum, Berlin; Arco Madrid; the Armory Show in New York; and in Seoul. Between 2011 and 2013, the gallery participated in Art Brussels; 2015 at Collaboration / Art Cologne. 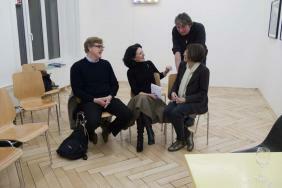 Since 1996, Galerie Susanna Kulli has held public events featuring artists in conversation with selected art educators. The series of editions “Im Rahmen der Ausstellung” aims to promote and communicate the artists’ work and help them bring out the theoretical contours of their endeavors. The conversations are recorded, carefully edited, and published in individual booklets. Each booklet contains between twelve and sixteen pages of text and a center section of eight full-page color photographs from the respective exhibition.